Hey, girls! It is time to party! In the disco inspired Michael Phelps Team Mid Print Girls’ One Piece, your little lady will be the belle of the ball. This bold look features an explosion of cerulean, indigo, cobalt, and navy in a wave of bright white lights. 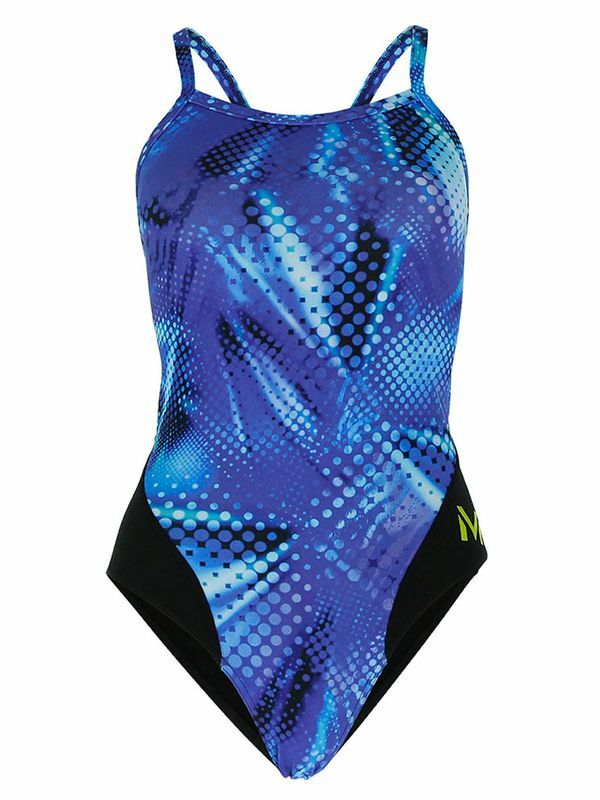 The Michael Phelps Team Mid Print Girls’ One Piece are made from the world class Aqua Infinity Fabric. This impressive stuff is constructed from 100% PBT fabric that is perfect for serious swimmers and little ones who want to master their swimming technique distraction-free! Personally designed Michael Phelps and his Coach Bob Bowman, you won’t find a better girls’ one piece anywhere.